nb and i have both read “The Happiness Project,” and i know i’ve taken multiple lessons from it. i’ve also taken it all with a grain of salt, as it’s written by someone in sort of an “Eat, Pray, Love” privilege situation, but alas. 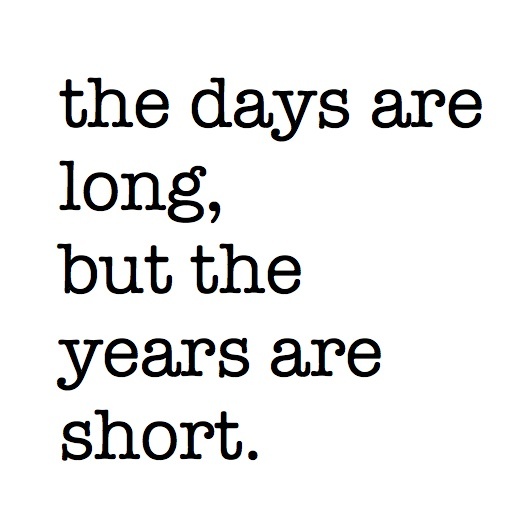 one of the most important things i read in the book was this: the days are long but the years are short. to me this means to live each day fully and with your whole brain and heart because we only get one life and it’s flying by. i’ve started thinking it to myself, meditating on it, in my day to day and have found that it’s really influenced the way i make decisions.